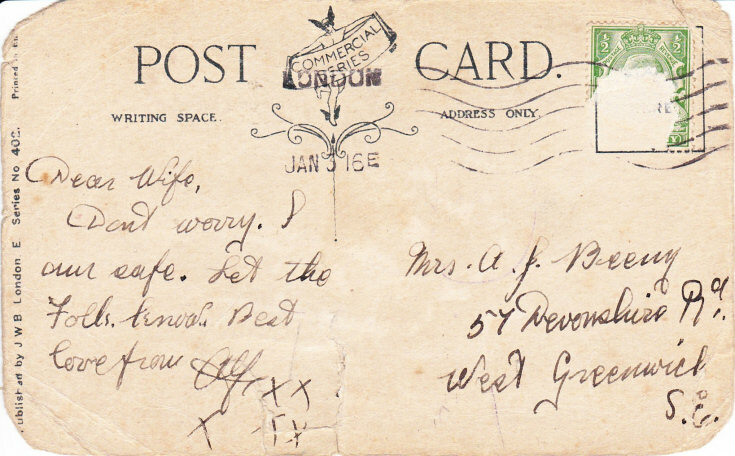 A postcard sent by my grandfather, Mechanician Alfred John Beeny, to his wife after the explosion on board HMS Natal. They had been married for five weeks. It reads, "Dear Wife, Don't worry, I am safe. Let the folks know. Best love from Alf."